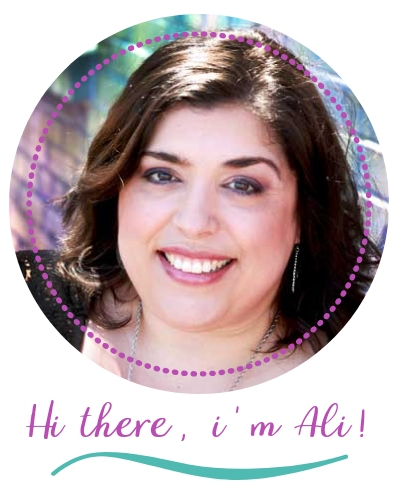 After years of simply disliking grocery shopping, my diagnosis with a chronic illness made grocery shopping not just something I didn’t like, but a huge obstacle. Walking around a grocery store loading and pushing a heavy basket zapped my energy and caused me pain. I just had to find a way to make grocery shopping easier. What I believe is the holy grail of grocery shopping hacks is online grocery shopping pickup and delivery. If you haven’t already tried it, you’re wasting your precious energy that you need to reserve for other things. 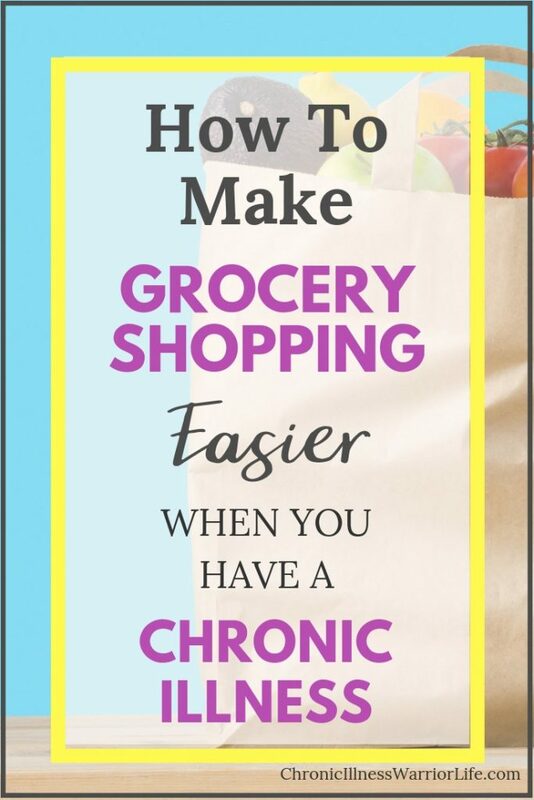 If you have a chronic illness, then you need to know the trick I use to make grocery shopping easier. Order your groceries online and use the grocery pickup/delivery feature. You may be thinking, “Of course it does!” But I want to point out some benefits that go beyond saving your energy and sparing you pain. If you are like me (and if you’re reading a chronic illness blog you probably are), then you know that we have to carefully pick and choose what tasks we will expend our energy on. I have 4 kids, so there are several non-negotiable things I have to do to take care of them. Those are the things that force me to make smart decisions on when and where I use my energy. Online shopping makes grocery shopping so much easier. I plan to pick up the groceries at a time when I know my kids and husband will be home so that I don’t have to unload the groceries either. Even if you were perfectly healthy, who wants to spend an hour or more at the grocery store each week? I simply make my list, add the items to my online shopping cart, and checkout. Done. Then either pick it up later or have it delivered. Another way that it saves you time, is that your past purchases are saved in the online grocery shopping’s system. So whenI log in, I can easily go through my past grocery purchases and quickly add items to my cart. The local grocery shopping service I use (Kroger) actually”starts my cart” with my favorite items like bread, milk, juice, etc. Check out how easy it is to use Kroger online grocery order service by watching this video! You know how they say, don’t go grocery shopping if you’re hungry because you’ll buy more? We all know that is nothing but the truth. Shopping for groceries online completely eliminates that problem. If you find yourself hungry at the time you are adding items to your online cart, just have a snack while you do it. You make your meal plan for the week and figure out what groceries you need to buy. If you walk into a grocery store you’re immediately bombarded with so many food options. That can make you want to either buy extra things you don’t need or make a change to what you want to prepare for dinner that week. How many times has that happened to you? Online grocery shopping cuts the noise and you only focus on getting the items you have already put on your list. Read more about food and cooking hacks for people with chronic illness . . .
Take my advice and start making grocery shopping easier for yourself. So next week, when you start planning your grocery list and grocery shopping trip give yourself permission to take the easy way out and use an online grocery shopping service pickup or delivery. And instead of that tension increasing as you imagine having to trudge through a big grocery store with a cart full, you’ll feel smart and savvy. As soon as you experience it, you won’t go back!